Here may be found the background to this work and links to similar studies of the other Battalions of the Regiment. For a brief history of the 5th (Service) Battalion and the amalgamated Battalion in the First World War see: Johnson, F W E (Foreword). (1919). A Short Record of the Services and Experiences of the 5th Battalion Royal Irish Fusiliers in the Great War. Naval & Military Press Reprint, 2009. The has been no history written about the early years of the 6th (Service) Battalion. For a general history of the Regiment see: Cunliffe, M. (1952). The Royal Irish Fusiliers 1793-1950. London: Oxford University Press. 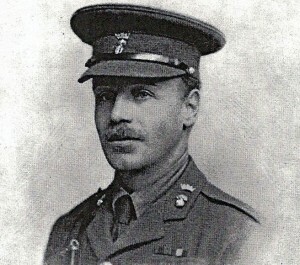 Immediately on becoming Minister of War, Lord Kitchener proposed that the British Army be expanded by recruiting wartime volunteers, rather than building upon the Territorial Force. These men would sign up for three years or the duration of the war, whichever was longer. On 6 August Parliament authorised the expansion of the Army by 500,000 men and recruiting began immediately. The first New Army battalion of the Regiment was raised on 10 August 1914 in Armagh. On 21 August 1914, Army Order 324 authorised the formation of the first six new divisions, which included the 10th (Irish) Division. The nomenclature specified by the order meant that the new battalion of the Regiment was to be the 5th (Service) Battalion, Princess Victoria’s (Royal Irish Fusiliers). The Battalion began recruiting at the Depot in Armagh, where it was joined by a number of regular officers. On 24 August it moved to Portobello Barracks in Dublin. Recruits arrived from counties Armagh, Cavan and Monaghan and comprised men from all walks of life, denominations and political views—the first to enlist have often been regarded as the best of their generation. On 10 September orders were received to transfer 400 men to form the 6th (Service) Battalion, at that stage still only a cadre. At the end of the month 500 more men were dispatched to form the basis of the newly raised 7th (Service) Battalion, which was to be part of 16th (Irish) Division. These first enlistments to the 5th and 6th (Service) Battalions, including some of those dispatched to the new 7th (Service) Battalion, amounted to about 2,350 men by mid-September 1914. The 5th and 6th Battalions trained in Dublin as part of 31st Brigade until April 1915 when they, and the other units of 10th (Irish) Division moved to Basingstoke, arriving on 29 April. After a further period of training, on 11 July both Battalions embarked at Devonport for the Mediterranean and the ill-fated Gallipoli campaign. 5th Royal Irish Fusiliers embarked with 30 officers and 951 other ranks; 6th Royal Irish Fusiliers embarked with 32 officers and 930 other ranks. The Battalions landed at Suvla Bay on 7 August and for nearly two months fought in deplorable conditions, suffering significant casualties—by 16 September the 5th Battalion had been reduced to ‘four officers and about 160 other ranks’. On 30 September 1915 both Battalions sailed for the island of Lemnos for a period of recuperation. Here 5th Royal Irish Fusiliers was reinforced by a draft of men from 10th (Irish) Division Base Depot at Mudros. Meanwhile, 6th Royal Irish Fusiliers received two officers and 105 men. These men comprised some who had been specifically detached to the Depot in early August and others who had arrived from Ireland during the Gallipoli operations. Also attached to 5th Royal Irish Fusiliers a few days later were three officers and 140 men of The Royal Irish Rifles. On 28 October both Battalions arrived in Salonika, where the men of The Royal Irish Rifles rejoined their battalions. On 4 November 6th Royal Irish Fusiliers was reinforced by a draft of one officer and 98 men from the 3rd (Reserve) Battalion. 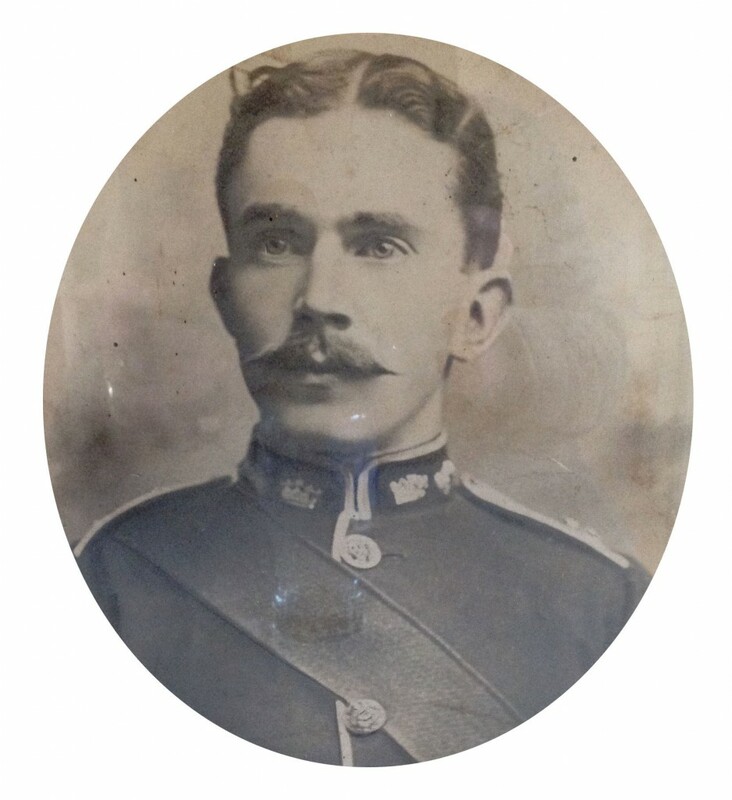 Three weeks later, on 24 November, a large draft of nine officers and 349 men joined 5th Royal Irish Fusiliers; these men were from The Bedfordshire Regiment and were described as ‘very good material’. This period of operations north-west of Lake Doiran was characterised by appalling winter weather, which caused many more casualties than the minor operations against the Bulgarians in December. The Battalions’ moved south towards Salonika in December 1915, where until June 1916 they were engaged in security duties and the back-breaking work, building roads and the ‘cutting of trenches in almost solid rock’. Both Battalions were then engaged in training and operations in the Struma Valley in northern Macedonia. In January 1916 small drafts of men had joined 5th Royal Irish Fusiliers from the 10th (Irish) Division Base Depot—all Irishmen—and on 4 September a further 46 men arrived from the 4th (Reserve) Battalion. In October arrived small drafts of men from The Suffolk Regiment (10 men), The Cameronians (Scottish Rifles) (14 men) and The South Wales Borderers (19 men). Meanwhile, an officer and 14 men from The Dorset Regiment had joined 6th Royal Irish Fusiliers on 22 January and 19 Irishmen arrived on 28 January. On 5 April a large draft arrived from one of the reserve battalions at home—one officer and 173 men. Finally, 54 men arrived in mid-October who had been transferred from Yeomanry regiments for service with infantry. Due to the casualties sustained by both battalions, mostly from sickness, on 1 November 1916 orders were received to amalgamate the 5th and 6th Battalions, which was duly done on 2 November. 31st Brigade was augmented by the arrival of the Regiment’s 2nd Battalion. The next 11 months were spent holding the line; this was a tedious period when the greater enemy was the winter weather and, come spring, malaria-carrying mosquitoes. A small draft of 18 men of The Welsh Regiment arrived in August 1917. The next move of 5th/6th Royal Irish Fusiliers was to Egypt, where it arrived on 25 September 1917 and, soon thereafter, to Palestine. In the fighting there over the next seven months the battalion incurred a steady number of casualties but received little by way of reinforcement. Finally, in May 1918, the Battalion left the Middle East for France, where it arrived on 27 May. Initially part of 14th (Light) Division, the 5th/6th Royal Irish Fusiliers suffered grievously from the change in climate and ‘several hundred’ men were hospitalised with a recurrence of malaria. The quality of the Battalion ensured its survival, however, rather than being broken up for drafts, and it was transferred to 30th Division and soon afterwards to 66th (2nd East Lancashire) Division. In July and August 1918 large numbers of men went home on leave—many of them for the first time since late-1914/early-1915. On 24 August 1918 5th/6th Royal Irish Fusiliers transferred between divisions for the last time. It transferred to 48th Brigade, 16th (Irish) Division. When 150 other ranks of 11th Royal Irish Fusiliers were absorbed on 27 August, it became the only Irish battalion in the Division. It was disbanded in June 1919. The 11th (Service) Battalion was raised at Greatham, West Hartlepool on 1 June 1918 from a cadre from the 3rd (Reserve) Garrison Battalion. It comprised, therefore, men from every Irish infantry regiment and from a number of English regiments and the Royal Army Service Corps. Some had seen service in France, Flanders or the Mediterranean, but others had only served in the United Kingdom. It absorbed the training cadre of the 7th (Service) Battalion, The Royal Dublin Fusiliers on 18 June. That Battalion had a similar history to the 5th and 6th Royal Irish Fusiliers—raised in September 1914 for 30th Brigade, 10th (Irish) Division; service at Gallipoli and in Salonika; and to France in June 1918, where it was reduced to a cadre. On its return to England it was absorbed by 11th Royal Irish Fusiliers a few days later. 11th Royal Irish Fusiliers joined 48th Brigade, 16th (Irish) Division at Aldershot at the end of June and landed in France on 1 August 1918 with a strength of 30 officers and 262 other ranks. On 11 August a further 10 warrant officers and NCOs arrived from England. Notification that the Battalion was to be amalgamated with 5th/6th Royal Irish Fusiliers arrived on 23 August. That duly occurred on 27 August 1918, when 150 other ranks joined 5th/6th Royal Irish Fusiliers. The remaining men joined 16th Division Reinforcement Camp for onward posting. Back to ‘The Evolution of the Regular and Service Battalions of Princess Victoria’s (Royal Irish Fusiliers) 1914-1918’ main page. 1. (Back) House of Commons. (6 August 1914). Hansard. Vol 65, c 2100. With reference to Army Order II of 6th August 1914 (as amended by AO III of 7th August 1914) introducing special terms of enlistment into the Regular Army, His Majesty the King had been graciously pleased to approve of the addition to the Army of six divisions and Army Troops. The composition and nomenclature of the new units and formations will be shown in Appendix A. The establishment of each unit will follow War Establishments (Part I) 1914. Recruits will be clothed and equipped at depots, and subsequently collected at training centres, where brigades and divisions will be formed. 3. (Back) Johnson, F W E (Foreword). (1919). A Short Record of the Services and Experiences of the 5th Battalion Royal Irish Fusiliers in the Great War. Naval & Military Press Reprint, 2009. 9. (Back) Some records note that 5th Royal Irish Fusiliers absorbed 11th Royal Irish Fusiliers on 29 August. The Battalion’s war diary is clear this actually took place on 27 August, with the Battalion moving forward into reserve at Barlin on 28 and 29 August. This entry was posted in First World War, Royal Irish Fusiliers on April 6, 2015 by Nick Metcalfe.